Welcome to our blog. We are excited that you are here. There will be so many great shares on this blog over the next year; teacher tips, local activities, recipes and so much more! In honor of National STEAM day on November 8th we are dedicating this post to well, STEAM. STEAM stands for science, technology, engineering, [art] and math. And you can find it everywhere. These projects and crafts build a solid base for understanding concepts and a love for learning. Plus they are loads of fun! Highlands’ teachers incorporate STEAM across all subjects. Let’s check some of them out! Now it’s your turn. 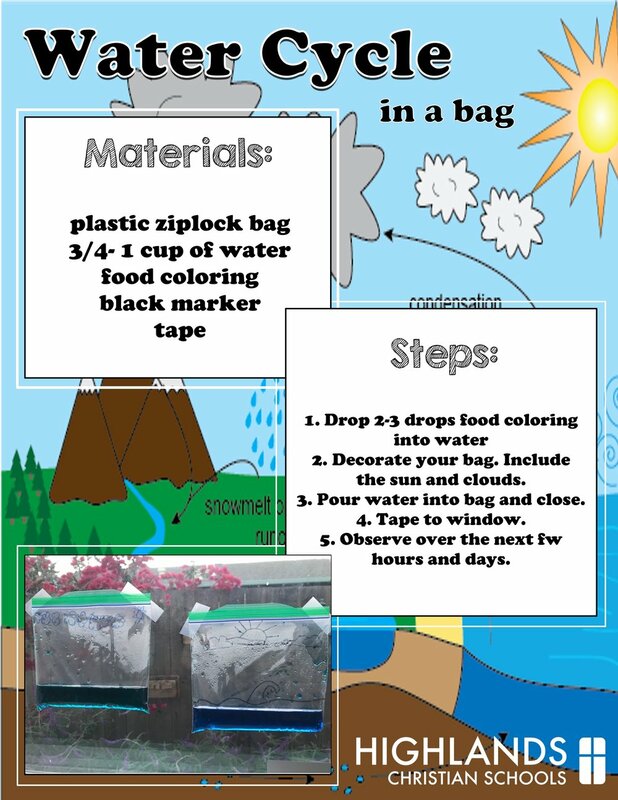 Here is a great STE[A]M project you can do at home. Essential Question: How does water move? Crisp mornings, leaves of every color and pumpkins (and pumpkin spice) are everywhere. That’s right. Fall is here!! And we can’t get enough. The changing of seasons always brings the sadness of the season left behind and the joy of what is new. What is to come you ask? Well let’s see…PUMPKINS!! Fall is not complete with pumpkins. And there are so many colors, shapes, sizes and flavors. Wait, flavors?! Yes, pumpkins and winter squash are made to be eaten. Here are 5 that are just perfect for this fall season. Acorn squash are such a versatile vegetable. The Distinctive ridges on the outside give way to sweet, yellow-orange flesh inside. These can be stuffed, steamed, grilled, baked or stuffed with sweet or savory fillings. The Red Kuri Pumpkin/Squash has a bright orange flesh that stands out in the crowd. The thick skin covers a very delicate and mellow chestnut-like flavor. It is often baked and added to stir-frys to add a sweet hint to the dish. The Butternut squash is another staple of fall. 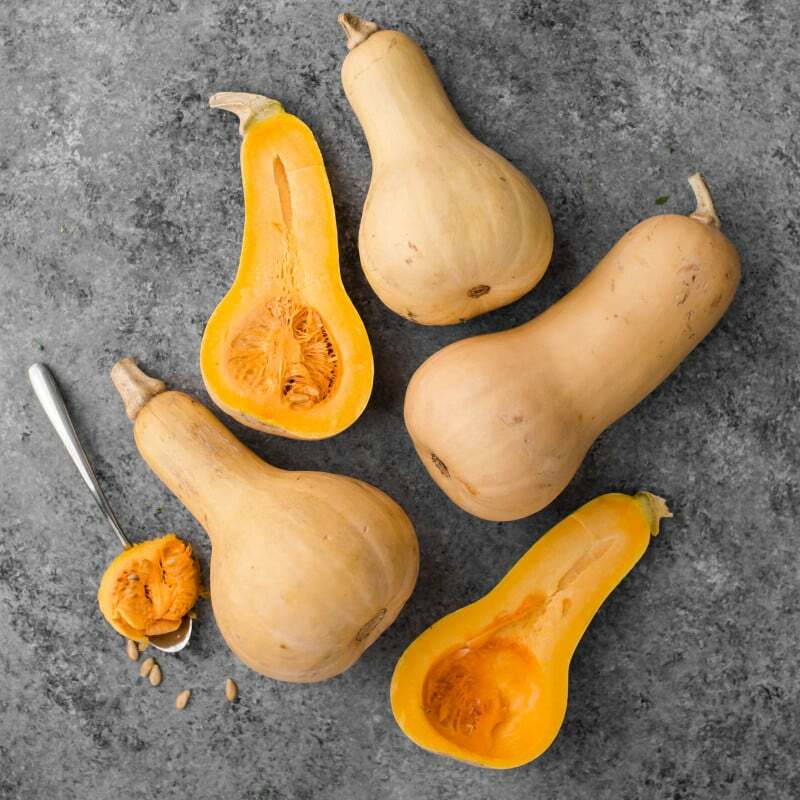 The uniquely shaped squash has a tan-yellow skin and orange fleshy pulp. As the squash ripens it becomes increasingly sweeter and richer. It makes for a great ravioli filling. Named for looking similar to the pumpkin the Fairy Godmother turned into a coach, this pumpkin is so versatile. The sweet taste works perfectly for French Pumpkin Pie or Roasted Cinderella Pumpkin soup. Plus they are so beautiful!! The name says it all. Sugary and sweet! These small orange flesh pumpkins roast so nice to make a delicious puree. The puree is a great addition to smoothies, spiced muffins and of course pie! The Bay Area is speckled with farms that yield lots of fun festive activities and harvests. Take a family trip to explore some of these local farms. Don’t forget this weekend Oct 14-15, 2017 is the Half Moon Bay Pumpkin Festival!